An article on news.sky.com - Ancient humans roaming African savannahs were tall and skinny, study finds - reports on new research which suggests that humans had a leaner physique with long legs and narrow hips some 1.5 million years ago. Scientists working on this are claiming that "our ancient ancestors went through a tall and skinny phase around 1.5 million years ago". The early humans hunted in African savannahs, which caused them to become tall and slender after leaving forest-like habitats. This is based on the analysis of hundreds of fossils spanning four million years. The research found that the stature and bulk of our ancient ancestors did not change consistently over the course of history. Around 1.5 million years ago, human-like hominins grew 10cm taller without gaining any extra weight. It took another million years for the species to put on another 10-15kg. Cambridge University's Dr Manuel Will, who led the project, states that an increase solely in stature would have created a leaner physique, with long legs and narrow hips and shoulders. This may have been an adaptation to new environments and endurance hunting, as early homo species left the forests and moved on to more arid African savannahs. Moreover, the higher surface-to-volume ratio of a tall, slender body would be an advantage when stalking animals for hours in the dry heat, as a larger skin area increases the capacity for the evaporation of sweat. When the species migrated to colder regions and higher latitudes, their bodies became heavier. Dr Will emphasises that large gaps in fossil records make it hard to understand the evolution of humans, forcing the team to estimate body sizes from small fragments of bones. But there clearly is a range: according to the findings in the Royal Society Open Science journal, early humans ranged from the broad, gorilla-like paranthropus to the thinner australopithecus afarensis. 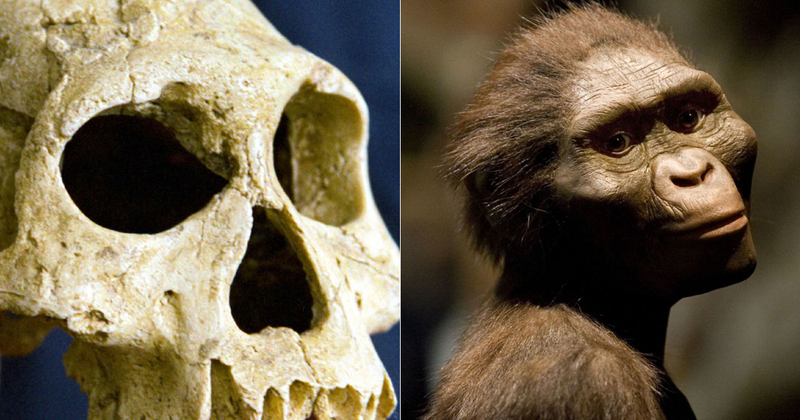 The hominins from four million year ago weighed 25kg on average and stood just over 4ft tall. Our own species family - homo - appeared about 2.2 to 1.9 million years ago and saw a dramatic rise in height and weight. Humans have maintained the height and weight they have today following the emergence of homo erectus. Dr Will adds that from a modern perspective this is where we see a familiar stature reached and maintained. Humans have continued to get taller over the past century because of improved nutrition and healthcare.